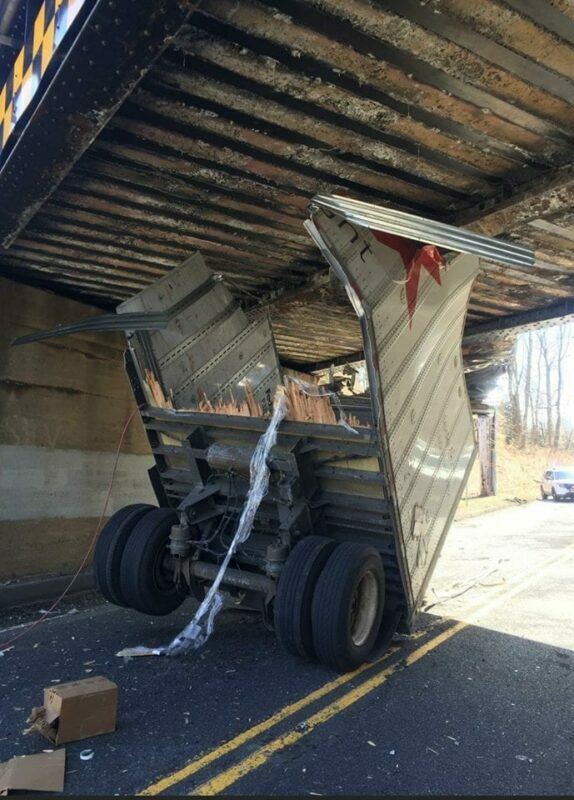 HOLMDEL-This afternoon at 1:14 pm, a tractor-trailer that was traveling on Laurel Avenue struck the New Jersey Transit railroad bridge, slicing the roof of the trailer off. There were no other vehicles involved, the driver of the tractor-trailer was taken to a local hospital with minor injuries. 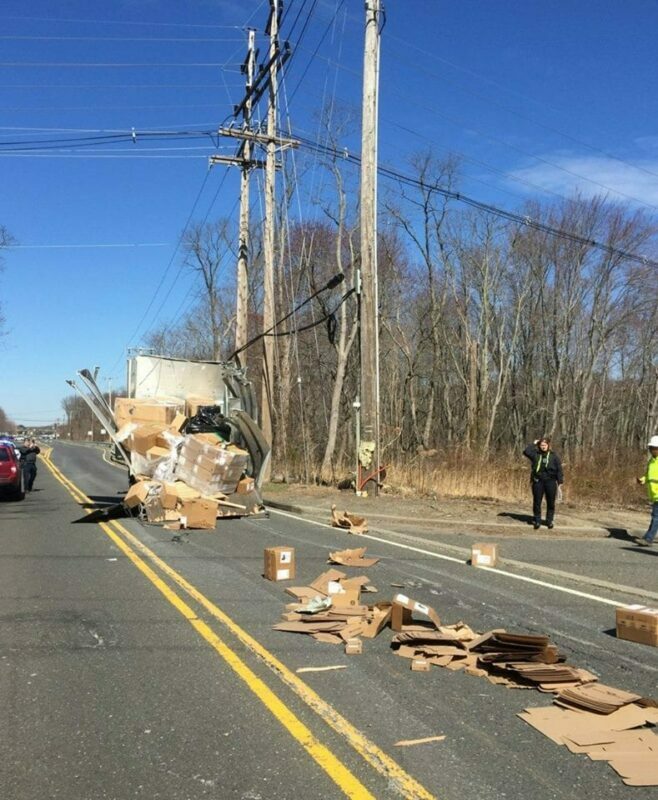 Laurel Avenue is currently closed in both directions between Route 35 and Boxwood Terrace.